The Massachusetts Legislature is driving toward a dangerous decision that may be popular but which is likely to endanger you and me and anyone using the Bay State’s roads and highways. Based on a recent hearing before the state’s Joint Transportation Committee, there is widespread support for Massachusetts to join the other 14 states, and the District of Columbia, that have allowed talking on a cellphone while driving only when using some sort of hands-free technology. The Legislature has chosen not to take this step in the past. It should be brave enough to buck popular opinion and make the same choice again, because this law might actually make our roads more dangerous, not less. Here’s the problem. Talking on a mobile phone distracts your brain from whatever else you’re doing. Driving? Walking down the street? Doesn’t matter. Your attention is on the conversation, not on the task at hand. What your hand is doing is irrelevant. The conversation distracts your brain. So even if, as Jim Morrison and the Doors sang, you “Keep your eyes on the road, your hands upon the wheel,” that’s not enough. In simulation studies, David Strayer and colleagues at the University of Utah found that drivers talking on cellphones got into more accidents, ran more red lights and stop signs, braked later, and generally made more mistakes, no matter whether they were holding the phone or using a hands-free device. In fact, research by Strayer suggests some hands-free technologies may distract us more than holding the phone. There will be continued carnage on our roadways, unless we succeed at promoting a social norm that stigmatizes distracted driving. But the real problem with the proposed law is psychological. It sounds like hands-free is safer. That sends a dangerous message to our emotionally-based psychological risk assessment system. Anyone using a hands-free device will think, “I have done something to reduce my risk, to take control.” A feeling of control over a risk makes it less scary. So people using hands-free devices will be just as distracted, but because they think they’re safer, many of them are likely to be less careful when driving and using a phone. Hard evidence reveals the effect these laws have. 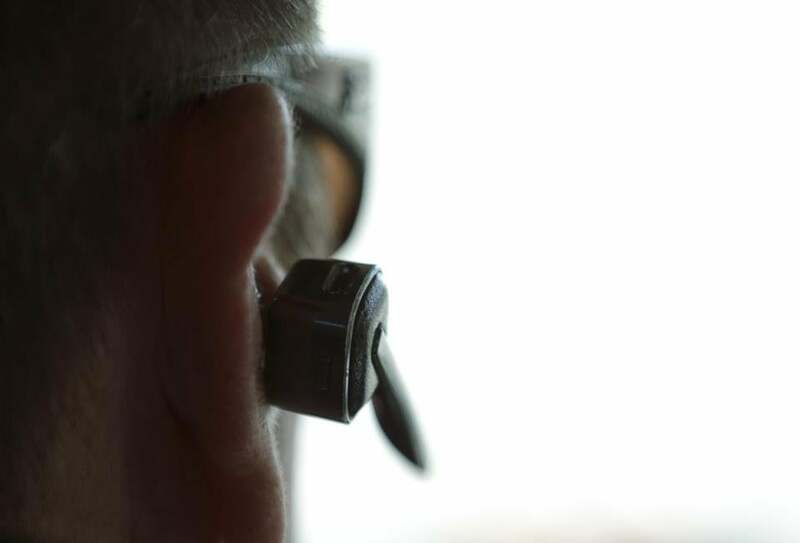 A 2010 analysis by the Insurance Institute for Highway Safety found that after the hands-free law took effect in three states and the District of Columbia, the number of accident claims either stayed the same or rose slightly. That’s right. If anything, a law intended to protect public safety made the roads more dangerous. ■ The National Transportation Safety Board recommended a complete ban on the use of cellphones while driving, for talking or texting, hand-held or hands-free. Japan imposes such a blanket ban. 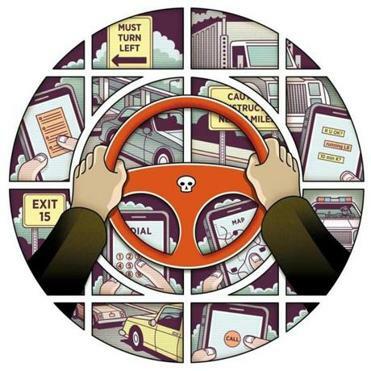 ■ Technologies are available to kill your cellphone while you are driving the car. Want to talk? Pull over (though this poses risks too, depending on traffic). ■ Many large companies forbid employees from talking on cellphones of any kind while driving, for liability reasons. But real progress will be tough. We want to ban phone use while driving, but we’re really only asking the government to ban the behavior of that lousy, distracted driver next to us on the road. We’re not asking the government to take away our right to gab and drive. So an outright ban probably won’t fly. And it wouldn’t work anyway. Even the outright ban on texting while driving cuts the number of people doing it in half, but not the accident rate. Why? The people still doing it work harder to hide their texting, are therefore more distracted, and have more crashes. In the end, this will be up to us, not some blanket law. We do things that are risky, and illegal, all the time, behind the wheel and lots of other places. We can’t legislate this out of human nature. But what we can do is recognize how human nature can seduce us toward solutions that feel right, but will make things worse. Like the idea of hands-free driving.